Smartphones are smarter than ever before! There are over a million applications on the Google Play Store and not every app out there is best and useful! What’s the point in owning a smartphone if it’s not helping us in getting things done! We’re all busy and focus alone can make us more organized and productive. In this post, we’ve rounded a bunch of best productivity apps for Android. Though there are tons of productivity apps on Google Play Store, we’ve handpicked five of them that makes you a productivity ninja! We know that Evernote is the best note-taking app for Android and iOS platforms. But, OneNote is nothing short of it. Of course, it doesn’t have all the features that are there in Evernote. But this awesome note-taking app from Microsoft has got some cool and useful inclusions like handwriting to text conversion, freedom to organize the notes in the way you want, video recording, etc. The real-time sync works like a charm. OneNote is certainly one of the best mobile applications created by Microsoft. It works like a charm. OneNote is certainly one of the best mobile applications created by Microsoft. You can login here to know more about it! Do you love reading blog? Do you want to be on top of everyday news? The pocket is an incredible app that lets you save the articles, links, images, videos, etc. and you can read or watch them whenever you are free! The all-new listen feature reads out the blog posts, news, and articles for you so that you can listen to them while working out or driving. The pocket is a beautiful app that works seamlessly across all platforms. Save the content to Pocket on your smartphone and read it later on your laptop! Wunderlist is a simple list making an app without any nonsense. The interface looks cool, and you want to add the new things to the list. It syncs perfectly with Google calendar, and alerts make sure that you don’t miss out a thing. You can create the lists and share them with your friends, colleagues, and family without any hassles. Many blogs rank Wunderlist as number 1 list-making app because of its seamless calendar integration and clean interface. Lightroom is an outstanding application by Adobe to edit photos. If you are a mobile photography enthusiast, you must check out this app for sure. It has tons of pro-level customizations to adjust the tones, contrast and other settings for your images. Lightroom can turn your average photo to a stunning work, and you can post it directly to Instagram or any other social app. RescueTime is an excellent watchdog. It monitors your activity on the Android device and tracks the time you spent on different websites and apps. 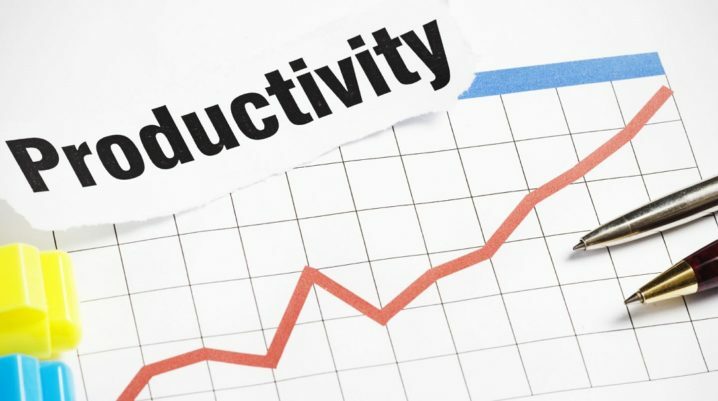 It creates useful reports and graphs that show you the productive and unproductive time you spent on your mobile phone. Time is the core resource, and there is nothing more precious than it. These apps function efficiently and seamlessly on Android devices. They are ranked as the best productivity apps for the Android platform by many renown blogs and magazines. Please let us know your favorite productivity app for Android via comments.